Written by celebrated and controversial author, philospher Ayn Rand. Night of January 16th is a fast paced, interactive courtroom drama calls upon audience members to decide the fate of Karen Andre, who is on trial for the murder of her wealthy lover. 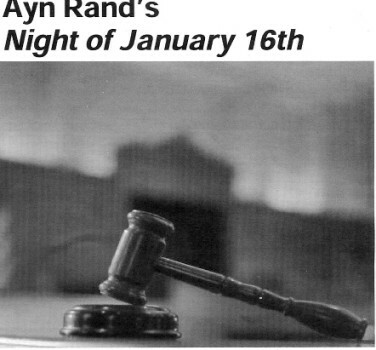 Unver the guise of a criminal trial, Rand puts two oppossing life views against one another. Through their verdict the jury defines and expresses their own view of the world.